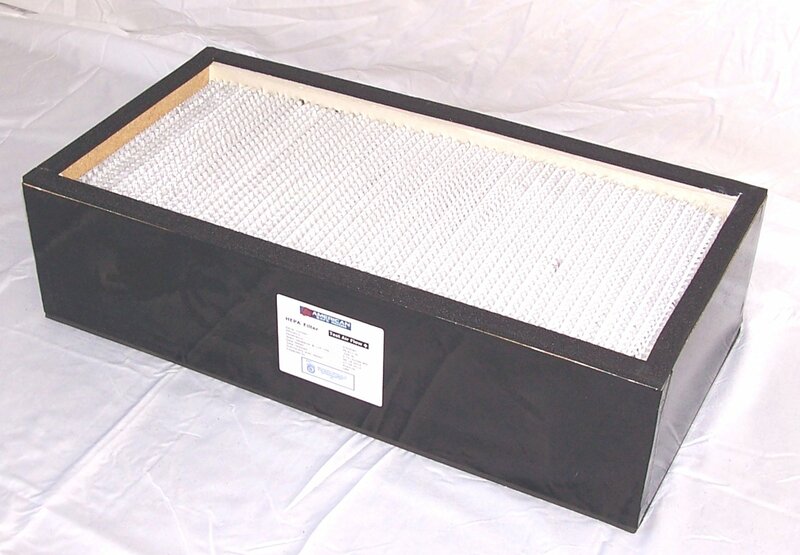 These replacement air filters are manufactured in the United Sates out of the highest quality materials. They are all easily replaced by using simple hand tools (two 9/16 or Crescent wrenches) and a suitable receptacle to place to old filters in. The Safe Cell manual has a detailed protocol for changing the filters. 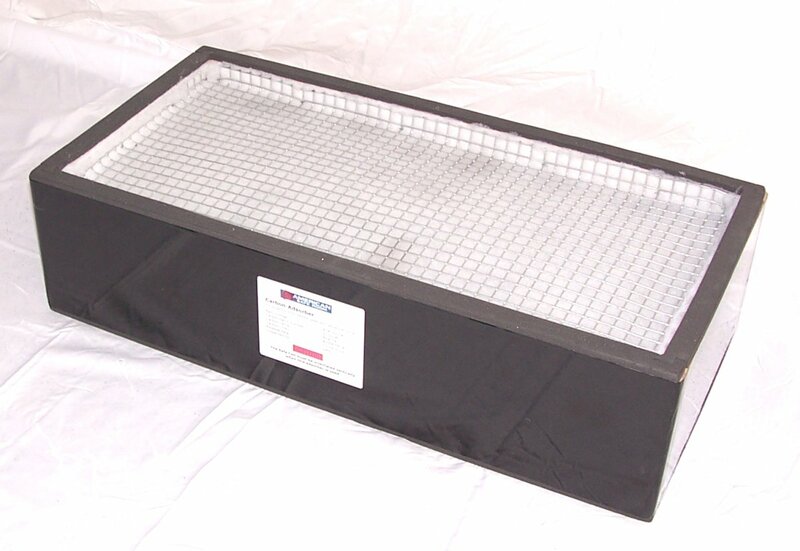 The pre-filters are designed to extend the life of the HEPA filter by trapping both large and small particles. The first filter is the roughing filter with an average efficiency of 25 to 30 percent when tested in accordance with ASHRAE 52.1. 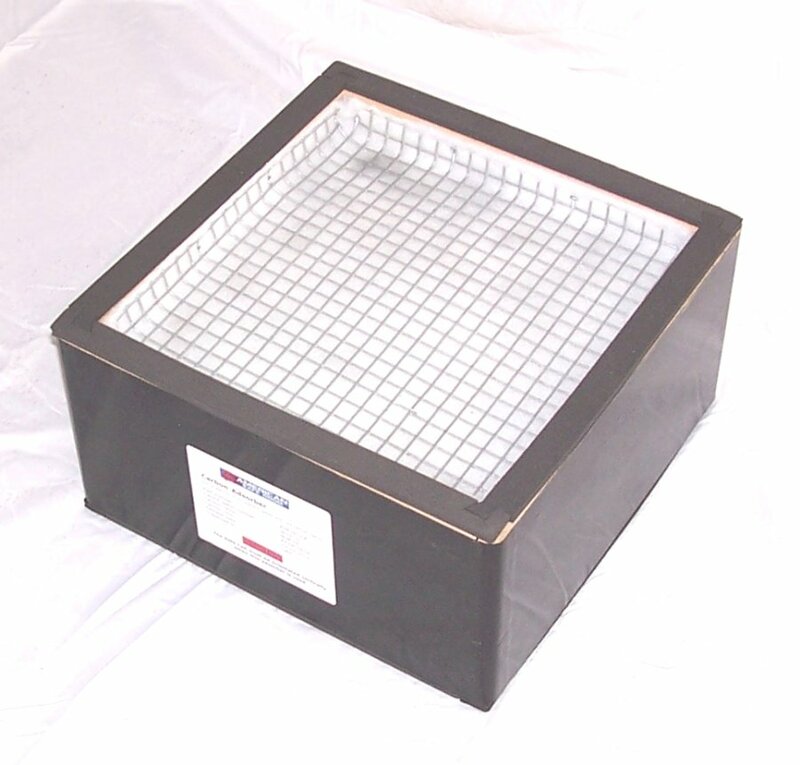 The roughing filter extends the life of the intermediate filter or pre-filter and reduces its change frequency. 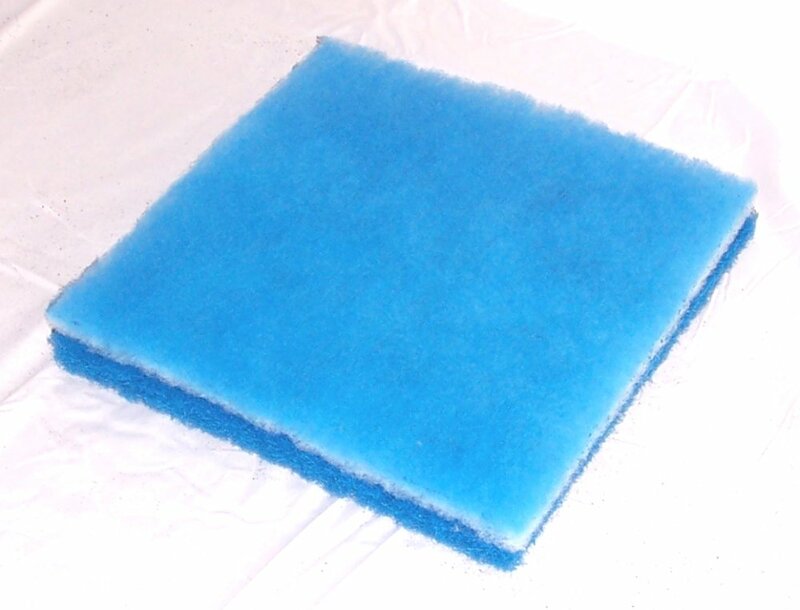 The second filter is the intermediate filter with an average efficiency of 80 to 85 percent when tested in accordance with ASHRAE 52.1. 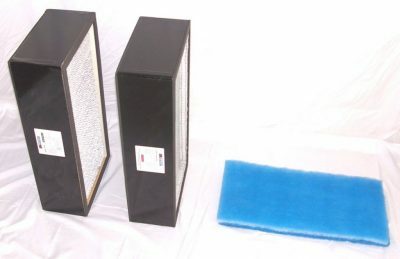 The nuclear grade HEPA filter is a special filter we have made just for our application. Each HEPA filter is individually tested to MIL-STD-282 before it leaves the factory, your assurance that it meets rated efficiency. The penetration and actual airflow rate are indicated on the label. Each filter is also assigned an individual serial number. 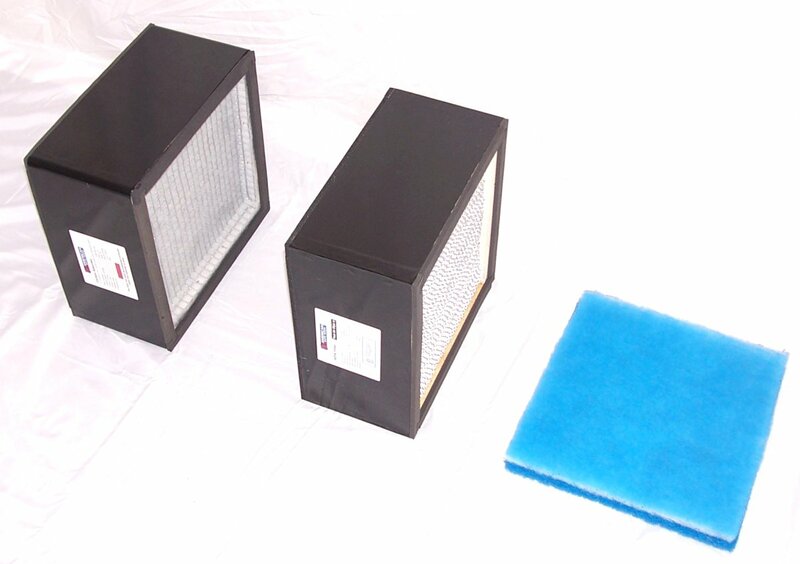 Every HEPA filter is individually DOP tested: This has been the industry standard test method for many years. It is conducted using a forward light scattering photometer. 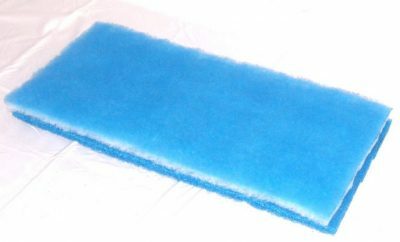 The HEPA is challenged with 0.3 micrometer particles of dioctyl-phthalate (DOP). By measuring the upstream and downstream concentration of these particles, the HEPA filter cell efficiency can be calculated. Underwriters Laboratories Classification UL 586: This classification to insure that each HEPA filter cell is individually tested at the factory. 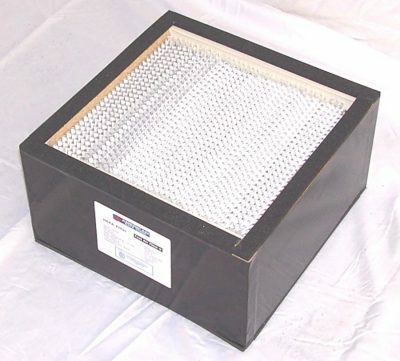 Additionally, representative HEPA filter cells are tested by UL to ensure that they provide their rated HEPA level filtration, after being subjected to the following conditions of a high moisture environment of (90% R.H.), a high temperature environment of (371 deg/C), low temperature environment of (-3 deg/C). UL also subjects the HEPA filter cell to a spot flame test of (954 deg/C). The nuclear grade war gas adsorber is a block sieve adsorption filter cell consisting of two containment medias and a center block of blended granule nuclear grade war gas carbon and ASZM-TEDA. This special blend of two kinds of activated carbon adsorbs warfare gases and radioactive iodine in order to meet the requirements of US Army Corps of Engineers ETL 1110-3-498 standard for war gas removal. ASTM D 2862/D5158: particle size: 4X8 Mesh U.S.